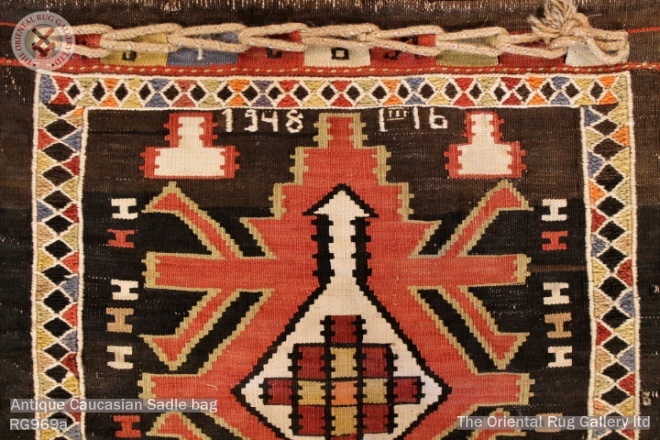 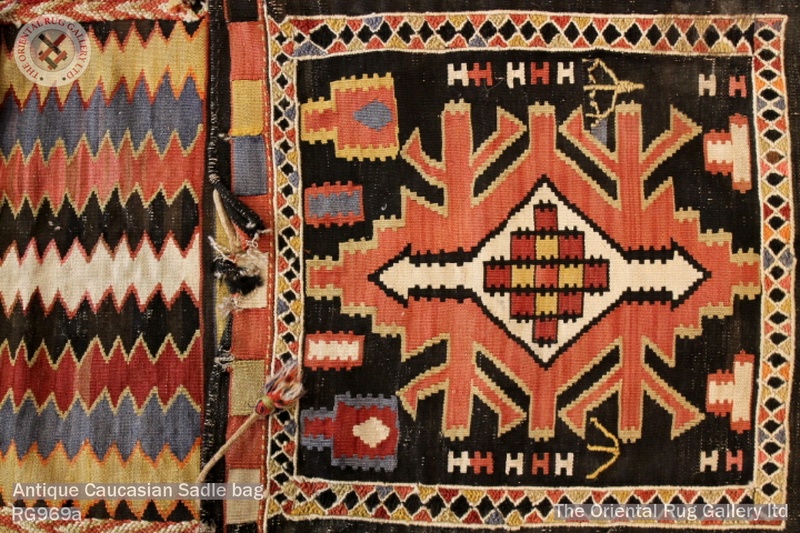 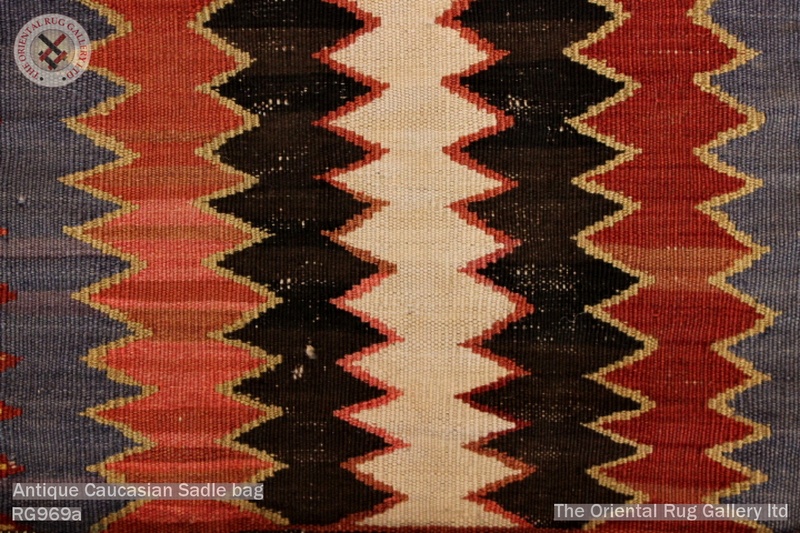 1.25m x 0.49m 4' 1" x 1' 7"
Antique hand made/woven Caucasian Kuba saddle bag dated 1948. Naturally dyed wool on wool foundation. 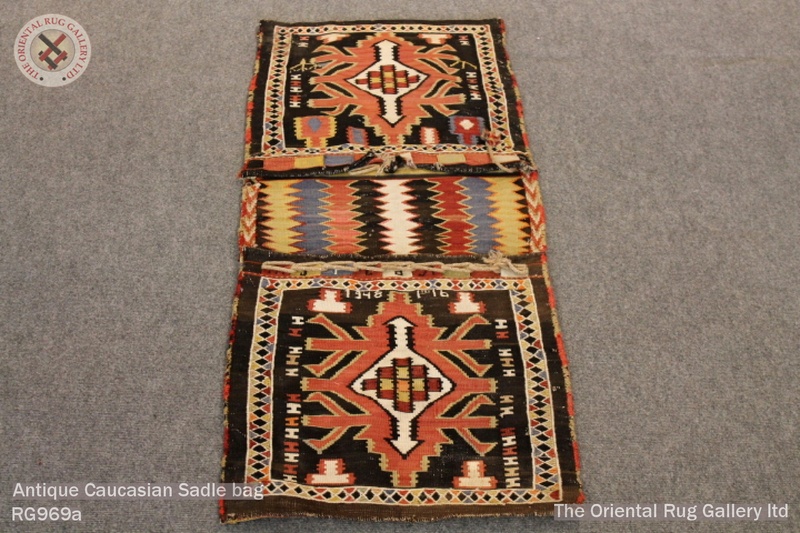 torg, antique hand made/woven caucasian kuba sadle bag dated 1948., azerbaijan, azerbaijan rug, bag, best rug cleaning in london, best rug cleaning in surrey, carpet cleaning rug washing, fine hand made carpets, fine hand made rugs, hand made carpet in london, hand woven rugs, handmade, handmade azerbaijan rug, handmade bag, handmade rugs, handmade rugs in surrey, naturally dyed wool on wool foundation.